Atlantean Empowerments. Over 2000 Advanced Energy Workshops for Physical and Spiritual Evolution. An Age Undreamed Of�The Age Of Atlantis! You will learn an Atlantean Empowerment Ritual that has FIVE symbols and Initiations designed to give you Health, Protection, Riches and Love! ATLANTIS, this name reverberates down through time with mystic power. The Glory and Power that once was, can now be yours! Atlantean Empowerments brings personal power. 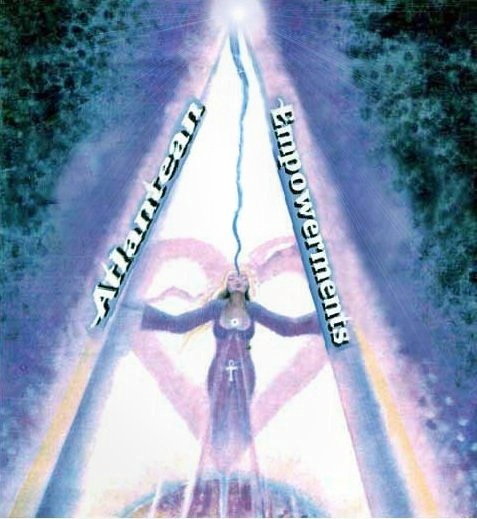 Atlantean Empowerments brings you spiritual power. You will be attuned to the energies that the Atlanteans used to activate the 5 Elements for total control of your personal universe. You will be Attuned to 4 ancient Atlantean Power mantras. You will also be Attuned to a special Dolphin frequency for opening your 3rd eye. You will also be Attuned to the power seal of Poseidon! You will receive the Atlantean Empowerments Manual via Email, All Attunements and a Printed certificate. Plus full email support is given before, during and after all my Workshops.